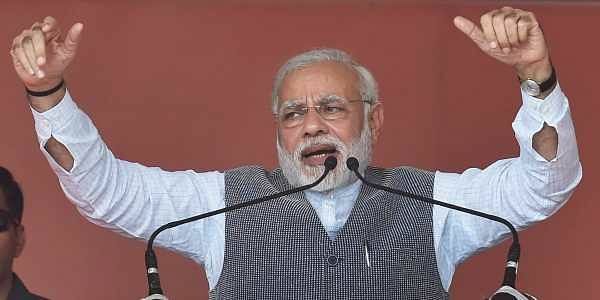 Modi has been regularly mocking Gandhi, calling his elevation to head the Congress party as dynastic politics and a redux of "Aurangzeb raj". NEW DELHI: Prime Minister Narendra Modi on Monday congratulated his political bete noire Rahul Gandhi on his election as the new Congress President and wished him a fruitful tenure. "I congratulate Rahul Ji on his election as Congress President. My best wishes for a fruitful tenure," Modi tweeted. Gandhi, 47, a three-time MP, is the sixth Nehru-Gandhi scion to head the grand old party after his great great grandfather Motilal Nehru, his great grandfather Jawaharlal Nehru, his grandmother Indira Gandhi and his father Rajiv Gandhi. He takes over from his mother Sonia Gandhi. Modi during his Gujarat election campaigning has been taking frequent digs at Gandhi, comparing the family to Mughal kings. "When Shahjahan came after Jahangir or Aurangzeb came after Shahjahan, were there any elections for that?" he said last week. "I congratulate the Congress on their 'Aurangzeb Raj'," he said, likening Gandhi to the unpopular Mughal ruler.